WHO ARE THOSE CONVICTED BY LAW AND SERVING TIME IN PRISON? The prison community is composed of two (active) groups. (There are other groups as well but they comprise the minority, like the elderly, the infirmed, the physically disabled, the sick, and the mentally deranged) Of the two active groups, majority are those who never dreamt of being imprisoned at all. They fell short, most likely because of poor defence preparation or inability to get a good counsel to defend them. And the other group, which is a minority, are those whose profession is to violate the law, the career offenders, so to speak. While they may be a small number, in prison, while considered hell, is their home. Prison is a place where society confines those who transgressed the law. The State deems it proper to segregate from the free community those who violated its tenets, defied its norms, breached peace, abused public safety and broke social amity. Ideally, prison camps should be peopled with deranged personalities, the psychotically kind, and whose minds are deformed. It has been stereo-typed as an area where the most dangerous sector of society is treated. In reality however, the contrary is true. My hypothesis is that there are prisoners who are “rehabitable”, not the criminal kind, although they may have transgressed the law, and there are others who are not. Rehabitable here means those who can still be restored, those who still can be redeemed socially, those who still believe that there is life after incarceration. In other words, from the term rehabilitation, there is such a term which can be used to denote prisoners who still can be saved and therefore rehabitable. It can therefore be gainsaid that the rehabitable are those who accidentally broke the law. Those who are otherwise have embraced a career of crime. Note that these two groups are at odds with one another. They never mix at all if given the necessary procedures for their combination. There was even a prisoner who wisely described that they are like ants. There are black and reds ones. They never mix at all too notwithstanding the fact that both are generally seen as ant. One cannot however determine from mere looks who are those rehabitable and those who are not in a homogenous grouping in the prison camp. Looks and physical poise are never made as basis. Although how one carries himself by way of neatness, one can already assume that which is internal, again, it is not a firm reference still given the wide deception operating within the restricted environment of the prison camp. There is however a way by which to separate one group from another. And this is by way of enjoining those interested to gain a skill or be given education while serving time. The only privilege to be accorded here is the enrolment in the program and the possibility of receiving a record of proficiency and nothing more. This exercise would initially indicate that in a penal setting, rehabilitation is prescribed for a majority and retributive treatment is to be applied on the rest. By retributive here implores the segregation of those who cannot adjust institutionally and should therefore be consigned to a space which has been installed with all the fear factor necessary to shock the person back to reality. The number also would indicate the rate of recidivism, assuming of course that the person has not perished as a consequence of his character and damaged mindset. 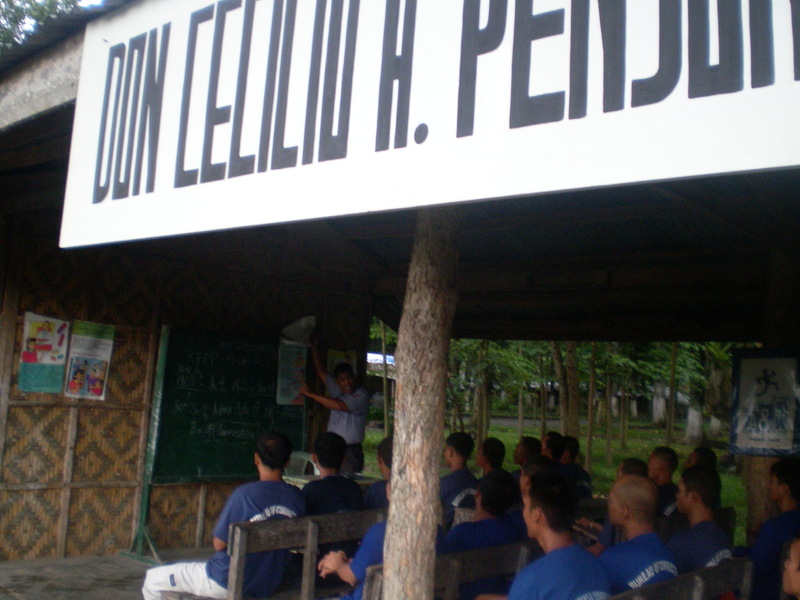 Education therefore is the only intervention in a corrective situation where rehabilitation as the principal mandate in the treatment of prisoners may be conducted.